Long before seasonality and sustainability had entered the common language, these concepts were the driving force behind the family farm Maggie established with husband Colin in the Barossa Valley in 1973. They began by breeding pheasants and selling homemade paté at the farm gate. People began flocking to the farm, not only to buy her home grown produce, but also to taste Maggie’s cooking at their much-acclaimed Pheasant Farm Restaurant. Since then, she and Colin have moved on to achieve great success with their Farm Shop and Café and their production of niche foods for the gourmet market both in Australia and overseas. Maggie’s warm and vibrant presence has been on our television screens through her hit ABC series, The Cook and The Chef and her popular appearances on Masterchef, as well as her own Christmas television special. She has written 9 cookbooks. 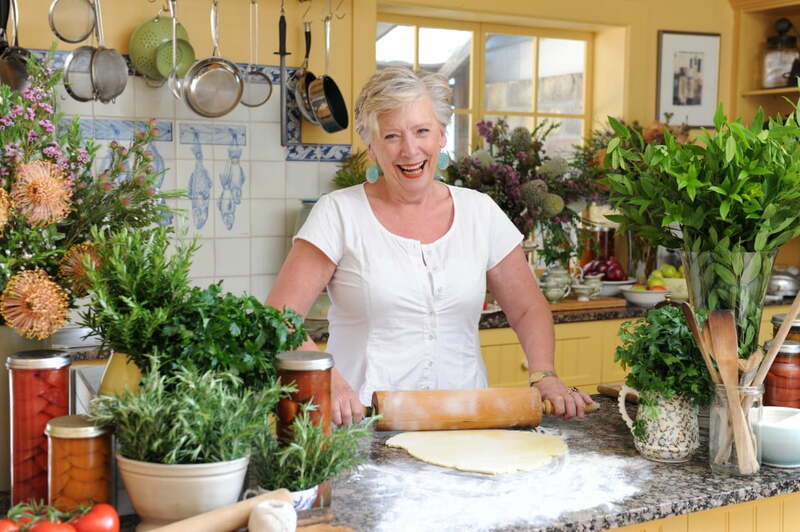 Maggie has received many honours and awards, including a Member of the Order of Australia (AM), for her outstanding contribution to tourism and hospitality and for making the Barossa region a desirable destination for lovers of good food as well as wine. 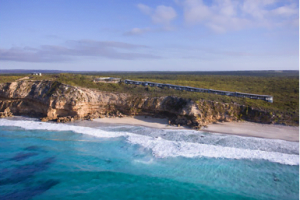 One of my all-time favourite travel experiences was last February, in the height of summer in South Australia, whilst the mainland sweltered, we revelled in about 28°C as the very privileged guests of Southern Ocean Lodge on Kangaroo Island. The thing about Southern Ocean Lodge is that every part of the experience was more than I could have hoped for. The staff so friendly but professional; the food a really great experience and every bit of detail down to the welcoming mini lamingtons in the room in case you were peckish before dinner; the open bar with great South Australian wines and fabulous treatments if it took your fancy. Truly more than the sum of the parts and though definitely a special occasion for most of us I doubt that anyone would feel they had not had truly great value. How lucky we were! Sydney will always hold a special place for me, having grown up there, I love returning to some of my sentimental favourite spots like Rose Bay, or just taking time to wander along the beaches. 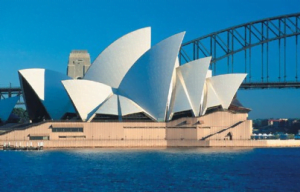 And of course my love of music makes the Sydney Opera House incredibly emotive, I just love seeing it when I approach the harbour. The restaurants are wonderful too, I have to mention that, as you can imagine! 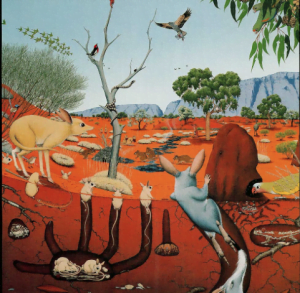 A few years ago I was asked to visit Alice Springs during the Desert Festival to judge the Wild Foods Competition, I didn’t hesitate for a moment. I had never had the chance to visit Alice Springs so it was the perfect opportunity to see more of my own country. The trip to Desert Park where I had the privilege of being shown around by two wonderful Aboriginal women, Veronica, an Elder, and Rayleen, a really good caterer with ‘Kangas can Cook’ who was a driving force in the wildfood competition. Desert Park is almost too beautiful even to write about except to say I’ll never feel the same way about the Desert again. Having the privilege of Veronica and Rayleen pointing out all the food and medicinal plants was more than I could have hoped for, but Colin, who simply was there as an independent tourist whilst I was busy, felt just as strongly about how wonderful the park was. It’s something that every Australian should simply visit to find out for themselves. A truly beautiful property, Glenmore House on the edge of Sydney, is a rambling collection of early colonial farm buildings surrounded by a superb garden, where it seems a determined passion outweighs the problems of regular water shortages, poor soil, high summer temperatures, severe winter frosts and merciless seasonal winds. Seeing such magnificent produce growing under these conditions has inspired me no end in my own garden. 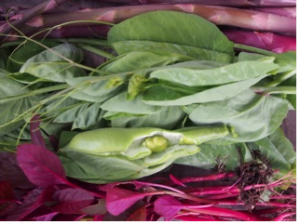 Seasonal and monthly courses are planned to include Simple Cookery from The Garden, Making Jams, Preserving Fruit & Vegetables, and Successful Composting and Biodynamic Principles. 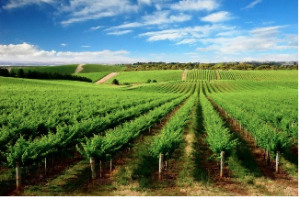 I know it might sound trite, but the Barossa is still my favourite destination, and I’d love everyone to have a chance to experience the many reasons I love it. Even though I do travel quite a bit but always keep my overnight stays to a minimum so I can be at home as much as possible. It’s still my favourite place to refuel on every level. To go with the flow and accept all aspects of relinquishing control. Always bring music with you, for the plane, to create warmth in a hotel room, to set a soundtrack to all the memories you’ll be making on your trip.